Seems it's time for another round up of things I've been enjoying lately and the first thing I have to talk about absolutely has to be baths. I've been obsessed with having baths about 4-5 times a week and have been telling all my friends how great they are. Of course I've had them before but as an adult they've been few and far between, and mostly only when I'm really tired or not feeling well. The first one I had at the start of this obsession was a bit weird - like how long am I supposed to stay in this bath for? What am I meant to be doing? I was kind of bored. For my next bath, however, I brought my laptop with me, set it up on the vanity and watched a couple of YouTube videos. That's probably not a revelation to anyone else but it changed the game for me. 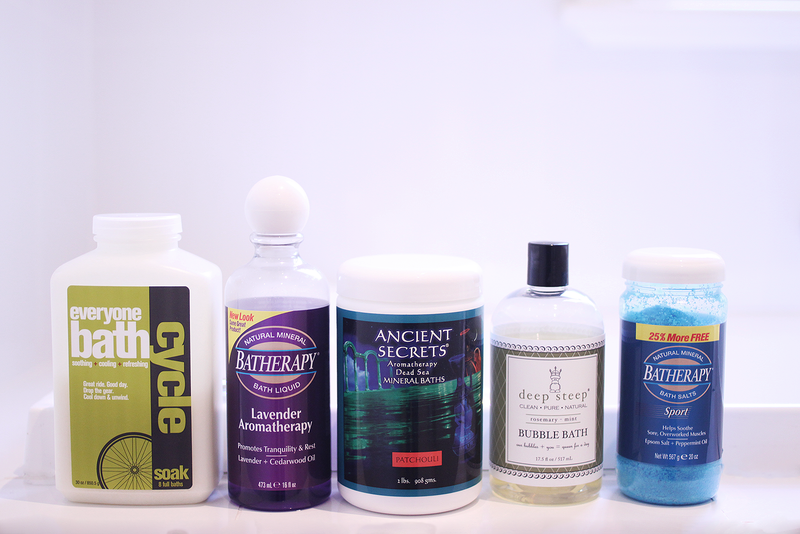 I've also been trying out lots of bath salts and bubble baths from iHerb and my favourite one has to be the Deep Steep Rosemary & Mint Bubble Bath. I've not tried any of their other scents yet but I can assure you I will. 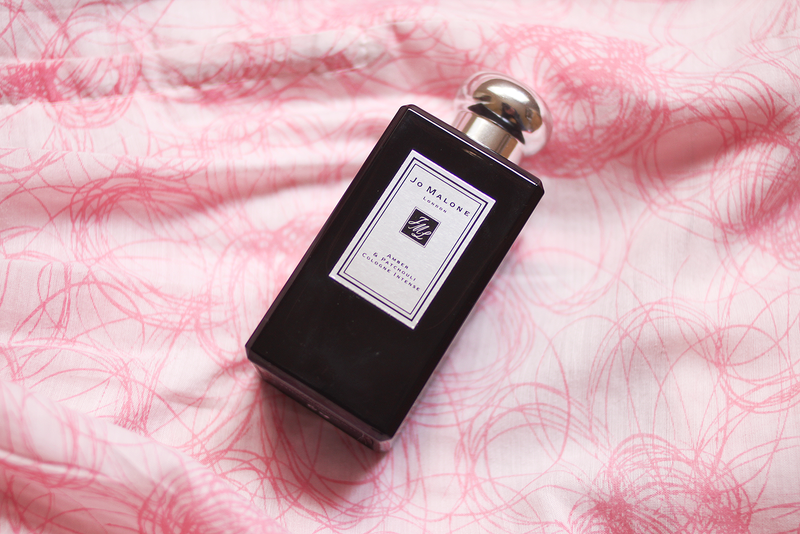 Speaking of things that smell good, I recently picked up a bottle of Jo Malone's Amber & Patchouli Cologne Intense and it's EXACTLY what I'm into scent-wise. Dark, warm, heady and completely beautiful. I urge you to smell this and you'll see what I'm talking about. It's quite masculine and actually as with a lot of fragrances right up at the higher end, it's unisex, and I think it would smell amazing on a man too. 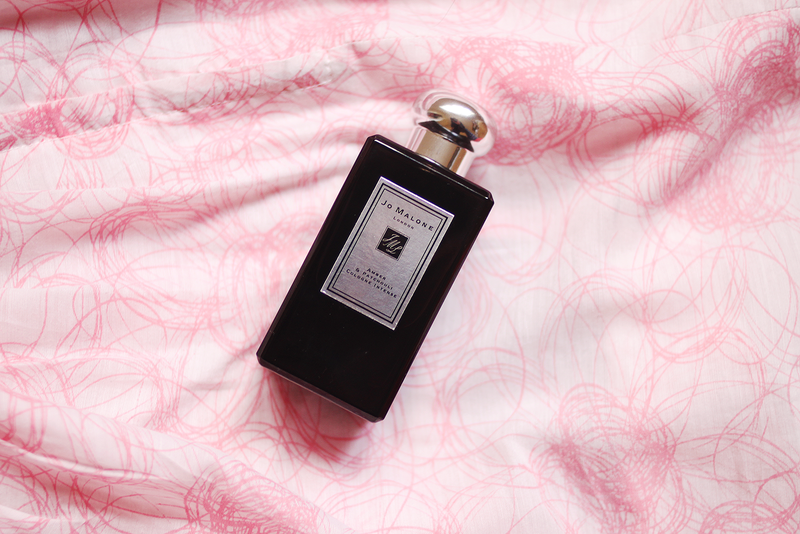 I hadn't heard of this scent before but I came across it for around half price in the Estee Lauder outlet and fell head over heels for it. I believe it's a permanent fragrance but because it's a cologne intense (in the black bottles) it's not usually displayed with all the standard fragrances so I guess I just hadn't noticed it before. But my god I'm glad I found it and also that I managed to get it at a discount. If you've smelled this and know anything that's in a similar vein please tell me because this is what I want ALL my perfumes to smell like. And one more thing on the topic of scents, I burn candles like nobodies business but lately I've been going through a bit of an incense phase. I tend to swap between the two every so often at at the moment it's incense. Although I have boxes and boxes of different scents there's nothing quite as good as old fashioned nag champa. Maybe I should just buy a nag champa perfume. 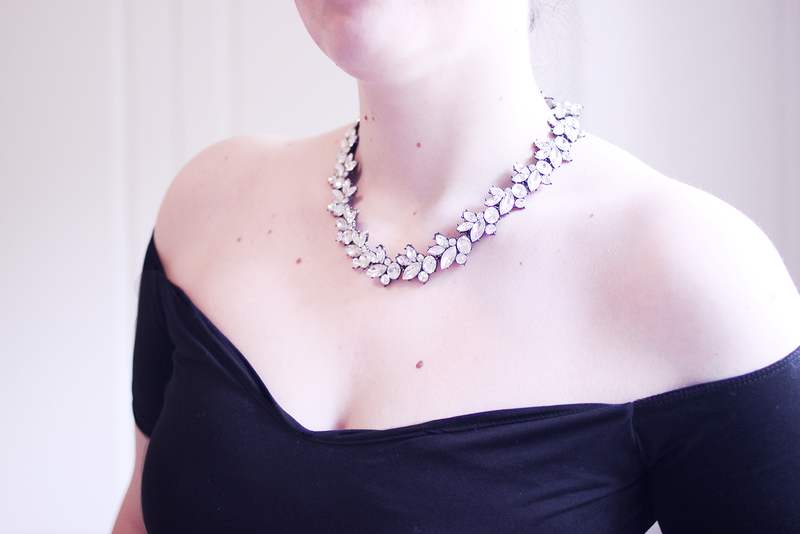 I don't own a lot of jewellery but when Happiness Boutique reached out to me and asked if I'd like to try something, I saw this necklace and immediately got Breakfast at Tiffany's vibes. It's very sturdy and well made, and they have a huge array of jewellery as well as some clothes and accessories on their website. 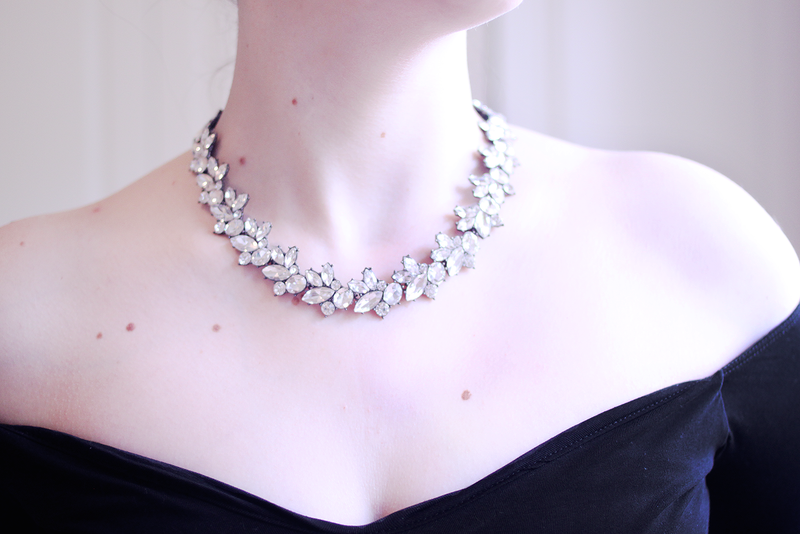 They also offer my fave thing ever - free worldwide shipping, and have a rewards program where you can accumulate points and exchange them for more jewellery! 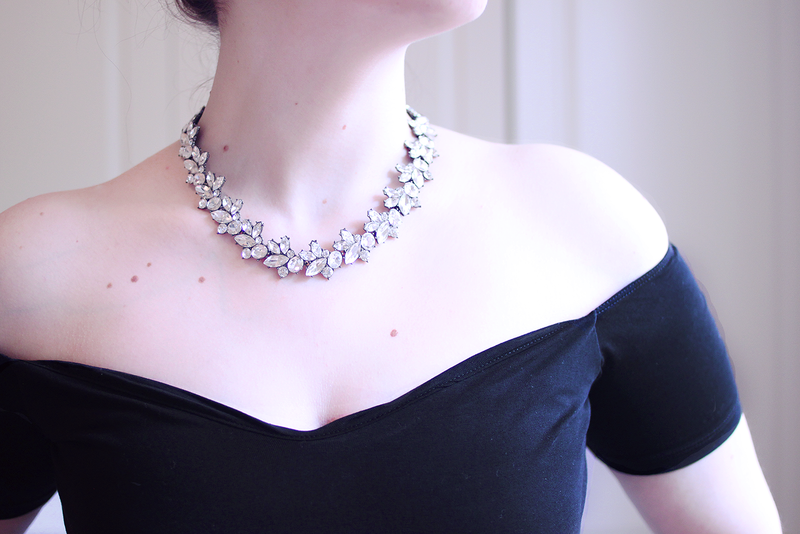 I love this necklace with my hair up in a beehive and an off the shoulder or bardot neckline top, which has been another favourite for me lately. I've already picked up the one I'm wearing as well as this(!!) and a white one from ASOS and I can tell it's going to be a major thing for me this summer. I've been meaning to post about some of my favourite teas for a while but didn't think it was enough for a post on its own. 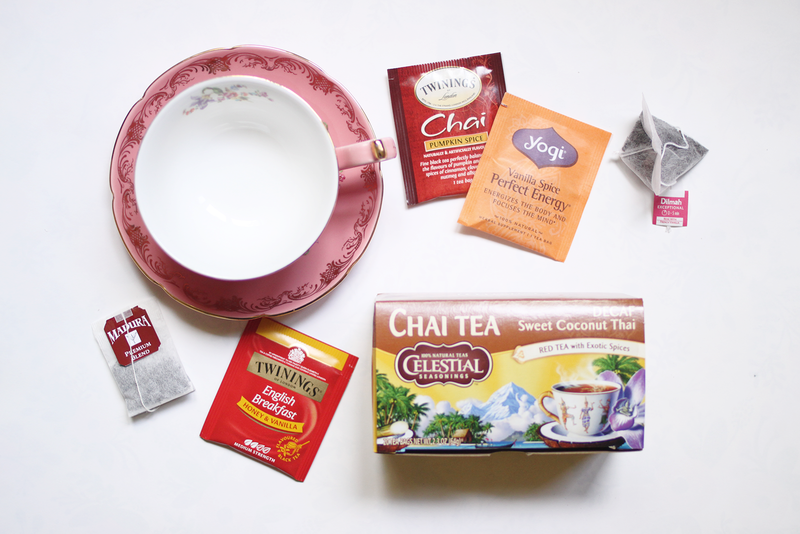 I'm a big fan of fruity iced teas but when it comes to hot tea I'm an english breakfast with milk kinda girl, and flavour wise I prefer the warm vanilla/chai area of things. I grew up drinking Madura so even though it's just standard black tea (Ceylon actually, as I've just found out) I can't write about my favourite teas without mentioning it. A bit of Twinings is alright too though, especially their honey & vanilla English breakfast and the pumpkin spice chai flavours! I also really like the Yogi perfect energy vanilla spice and the Celestial coconut chai red tea. And I'm a big fan of the Dilmah vanilla rose tea too, because it tastes just like musk sticks! I find personally that flavoured teas tend to taste a bit more exciting with half a spoon of sugar or a bit of honey, and of course milk. As an aside I get a bit put off when teas have really overstated flavours like red velvet cupcake or chocolate caramel brownie - c'mon, you're a cup of hot water not a dessert buddy, you're not fooling anyone. For music lately I have been obsessing over the three new The Weeknd songs - The Hills, In The Night & Can't Feel My Face. That last one seems to be blowing up absolutely everywhere, and having been a deeply obsessive fan of his since I first heard him in early 2012, it's interesting that it's such a departure from his normal vibe, but it's still very much him underneath. It's just him channeling Michael Jackson in 2015, and as a lifelong fan of MJ I couldn't be happier about it! I've also been really into Dr Dre's new album, Compton, which is also the soundtrack for the movie Straight Outta Compton which I'm really looking forward to seeing. It's got some incredibly potent songs on that soundtrack, especially post-Kendrick Lamar's To Pimp A Butterfly (which is my favourite album of the year so far) and I think it's going to be an incredible accompaniment to the film. I also really enjoyed this article and video of Kendrick interviewing NWA. I've picked up a few records lately that I have wanted for years and that, luckily for me, have been re-issued so I didn't have to pay crazy prices for an older copy. So those records are Air's The Virgin Suicides Soundtrack and Talkie Walkie, Spiritualized's Ladies and Gentlemen we are Floating in Space and Brand New's Deja Entendu. I've also been loving the new Tame Impala album, Currents, and have been on a bit of an Elliott Smith kick after reading Pitchfork's Elliott Smith oral history. I've also been listening to Nirvana a bunch lately after seeing the new documentary Montage of Heck, which was co-produced by Kurt & Courtney's daughter, Frances. It didn't reveal anything major that I didn't already know but it's well worth a watch if you're fan or even if you're just curious. 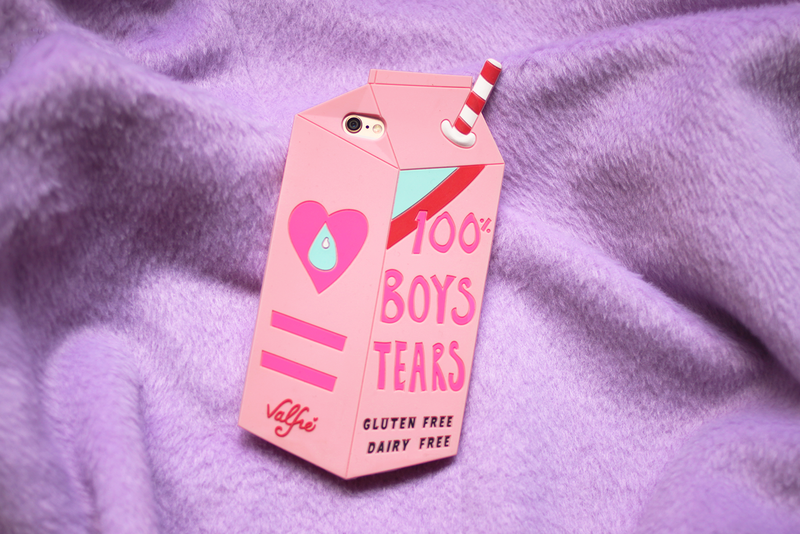 A couple of other small things, you may have noticed my amazing 100% Boy's Tears phone case up above. I've had all manner of ridiculous phone cases over the years and this one has got to be my absolute favourite. If you're not entirely sure what it's about, this article should answer all your questions. I also loved my lil lady Tenneil's post on blogging & staying true to yourself. It's something she and I have talked about a lot and having both been bloggers for years it's been really interesting to see how it's changed over time. From being purely a way of expressing yourself and connecting with people around the world to becoming a fully fledged industry, it's increasingly hard to avoid feeling like there is a "right" and "wrong" way of blogging and that there are things you should or shouldn't be doing in order to be "successful". I could write a whole post on the topic myself but the summary of my feelings is that blogging can still just be purely for the love of it and no one should feel bad if their blog isn't anything more than that. There is nothing at all wrong with being a professional blogger, or with not aspiring to that either.